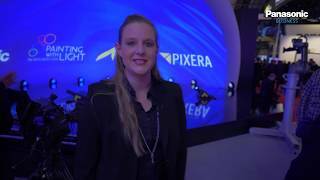 Take a look at an amazing week in Amsterdam for ISE, the largest AV and systems integration show in the world. 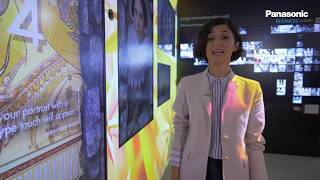 From 50,000 lumen projectors, to the latest in technology for education, corporate and retail, we have really put on a show. 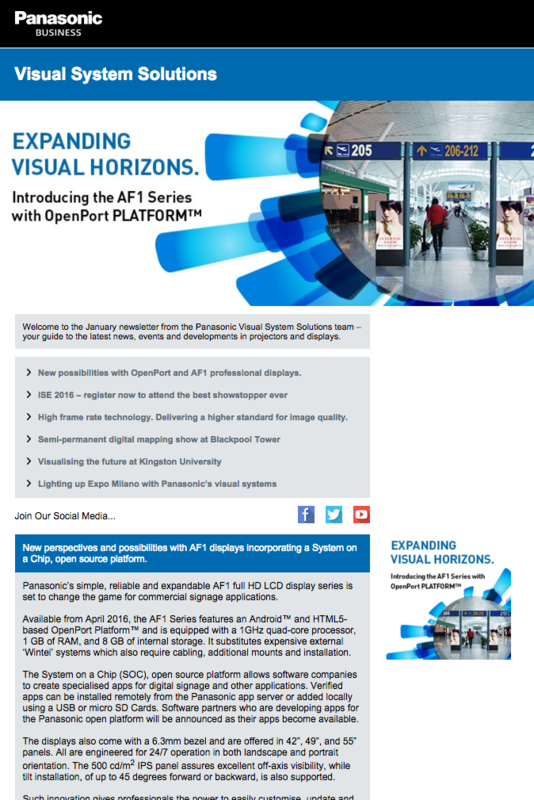 Panasonic has bolstered its 4K display line up, with the expansion of the premium SQ1 series and the brand new entry range CQ1 series set to complete the company’s line up of 4K digital signage solutions, which now meets the needs of the entire market. 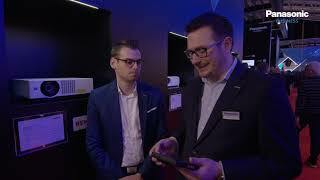 We are among the first to introduce the new Intel® SDM (Smart Display Module) slot to the SQ1 range. 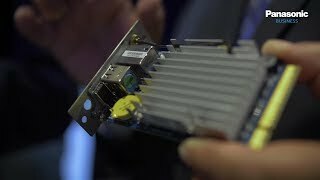 SDM boards can house either an Intel® CPU or interfaces such as SDI, NDI or VoIP. This means it’s possible to tailor the display and its connectivity to the application. 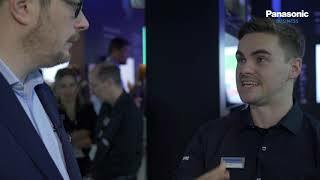 Intel drops by our booth at ISE 2019 to tell us more. 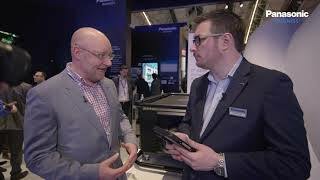 Dean Offord from Panasonic takes a look behind the scenes of the scale up classroom at ISE 2019. It combines projection, multi touch display and remote camera technology to put the student back at the centre of learning. 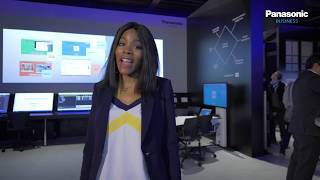 Join us on a tour of the Panasonic booth at ISE2019. 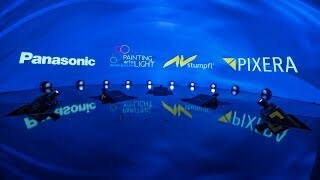 From the latest in 50,000 lumens laser projectors to technology for retail, corporates and live events we are really putting on a show. 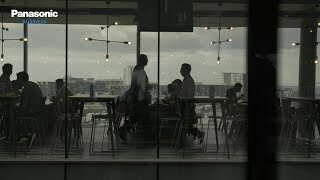 With staff across Dublin, Ireland, the UK and the US, AIB Group faces a challenge shared by many large corporations - how to provide the ability for its staff to communicate more efficiently across offices and borders. 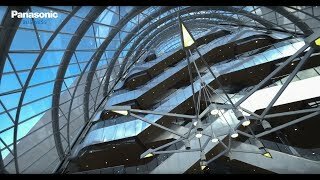 When relocating over 500 technical support staff to the one of seven new buildings at Central Park, 10km south of Dublin City Centre, AIB Group had the opportunity to take a blank canvas and design it to meet the needs of staff and develop a blueprint for future redevelopment. 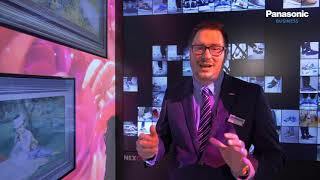 Across seven floors, AIB has installed a total of nearly 200 Panasonic professional displays. Integrated by McKeon Group, the technology blueprint is already being considered for three further sites which will take the total number of displays to over 500. Panasonic Business and our Irish partner Domus Projects, have been awarded ‘Retail Innovation of the Year’, at the Checkout National Supplier Retail Awards 2019. 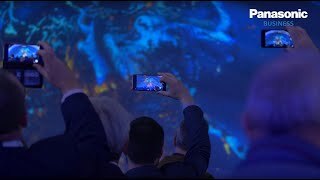 Panasonic Business and Integrated Systems Europe will join forces to bring master projection designer Bart Kresa’s newest projection mapping showpiece to over 100,000 people during ISE 2019. 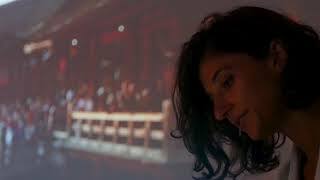 Panasonic has announced the launch of a portable LCD laser projector range with the smallest and lightest dimensions in its lumens’ class. 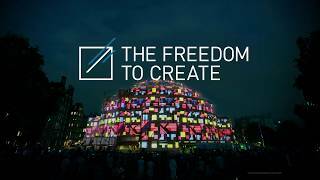 Panasonic’s presence at ISE 2019 will see it promise customers the Freedom to Create, with a range of reliable technologies that provide creative freedom to those involved in Visual and ProAV technologies allowing them to push the boundaries across live entertainment, public displays, education and collaboration. Panasonic Business has launched a new range of short throw and portable projectors providing up to 20,000 hours lamp life, making them ideal for use in education and corporate spaces over longer periods of time. Panasonic has expanded its newly launched range of 4K professional displays with the addition of two premium large format panels in 86 and 98 inches. 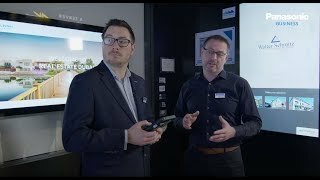 Panasonic has launched a new ShadowSense touchscreen video wall solution, offering full customisation with high visibility, performance, and reliability.